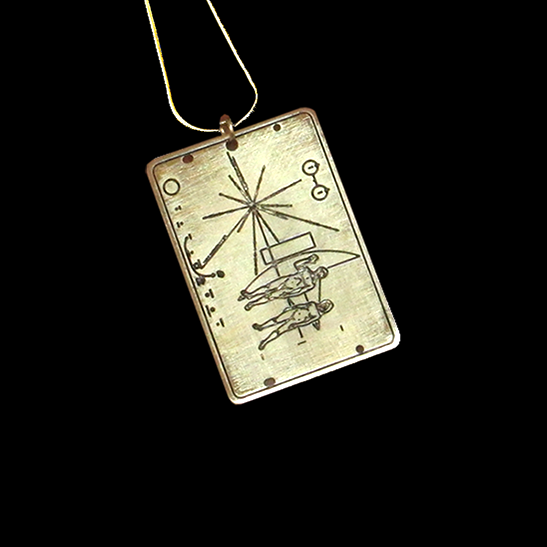 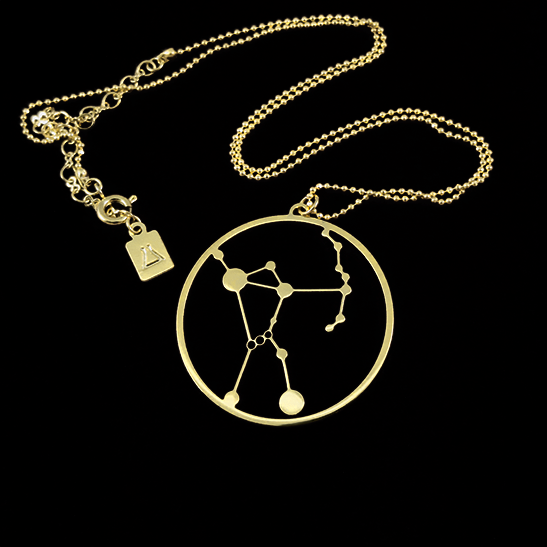 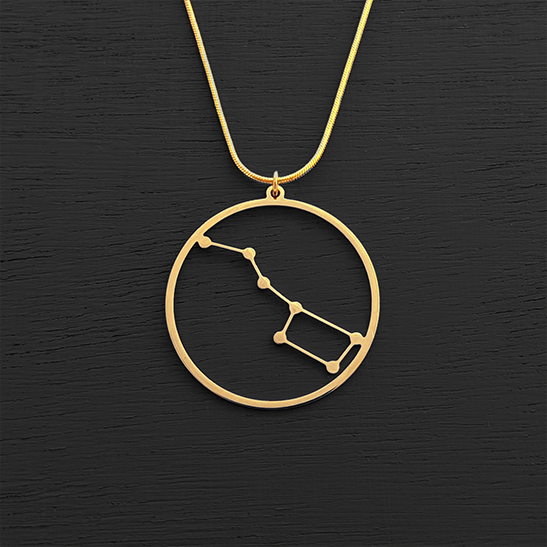 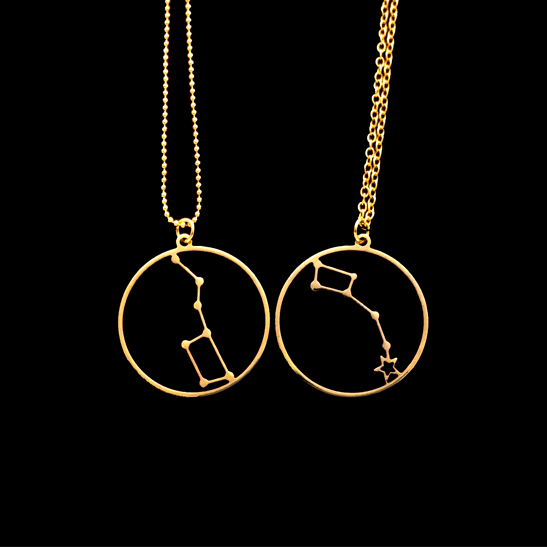 This science jewelry is Astronomy necklace which depicts Little dipper constellation with Polaris, the North Star. 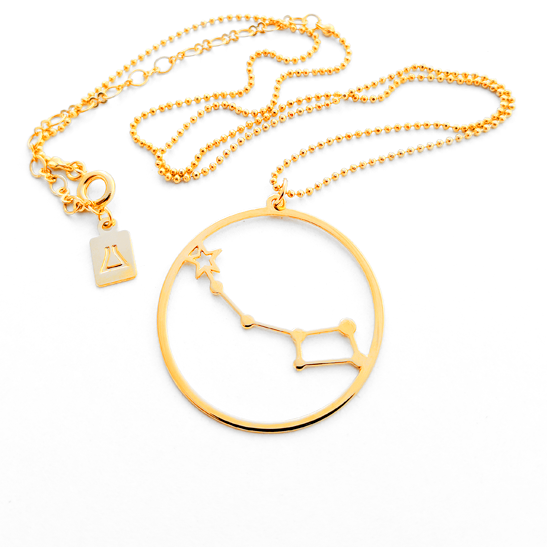 Approx 1.25" (3.2 cm) includes a 16" (40.6cm) 24 karat gold plated chain with a 3" (7.6cm) extension. 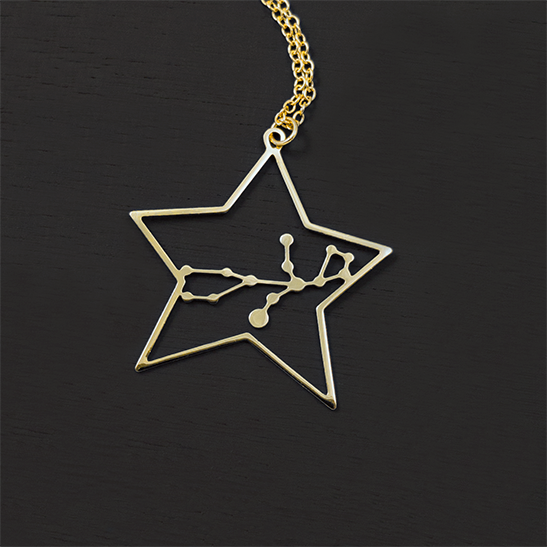 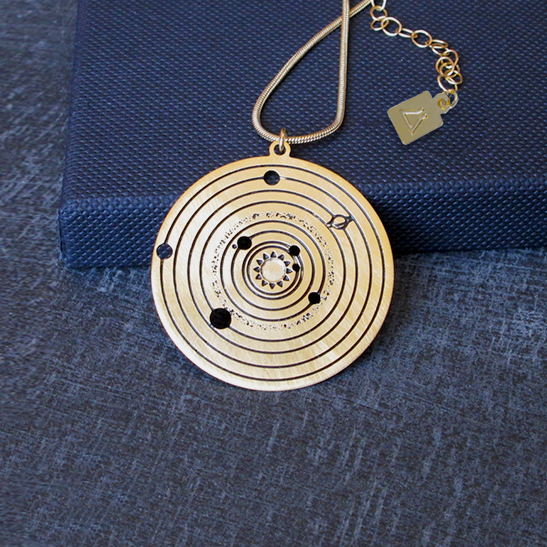 This gold astronomy pendant depicts the Ursa Minor – Little Bear in Latin. 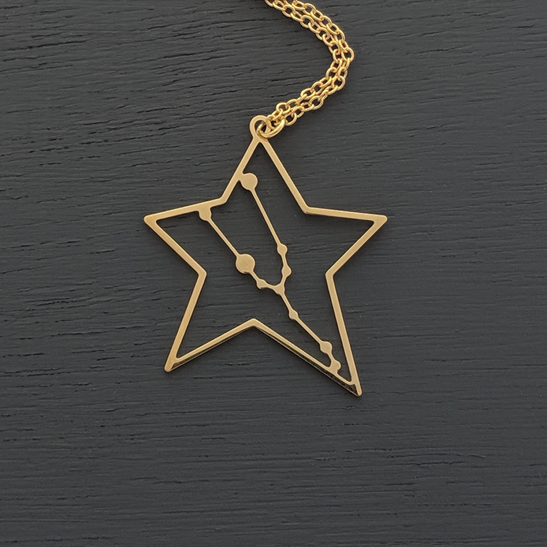 At the tip of its tail you may find Polaris, which is the brightest star in the constellation. 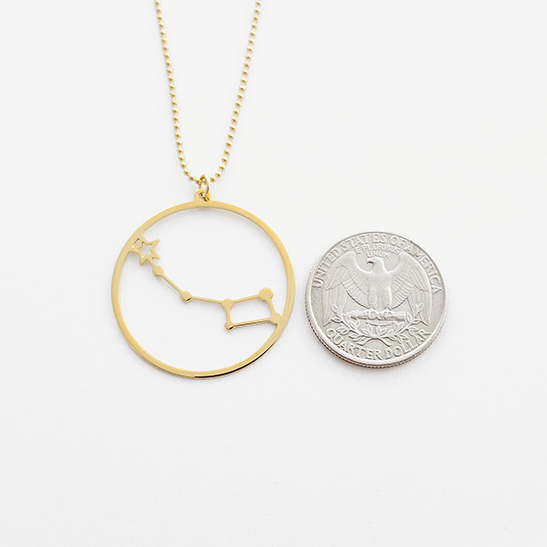 This northern sky constellation is also known as the Little Dipper hence the tail of the bear may looks like a handle of a ladle and has traditionally been useful for navigation, particularly by mariners, due to Polaris being the North Star. 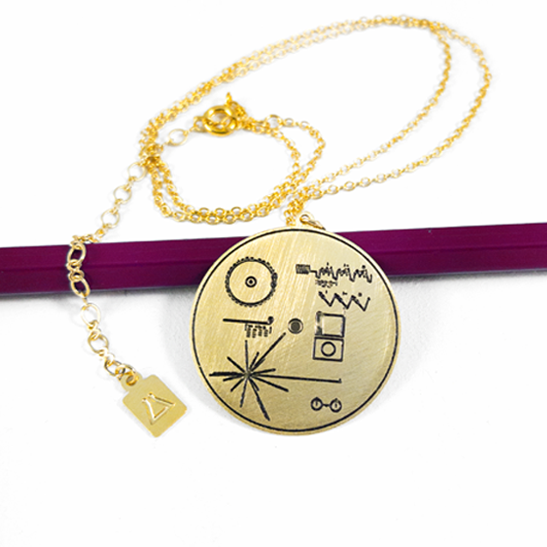 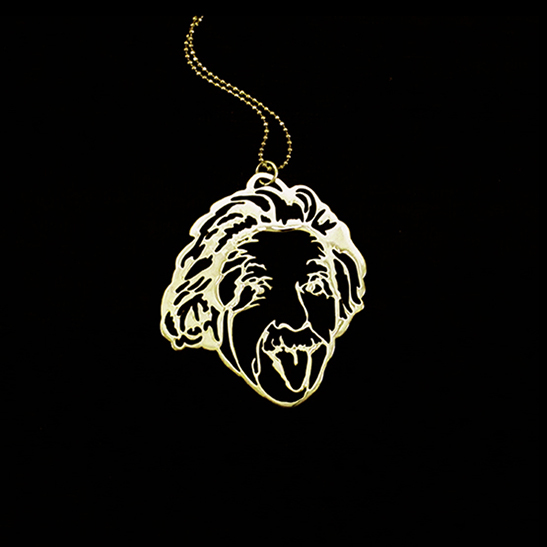 Approx 1.25″ (3.2 cm) includes a 16″ (40.6cm) 24 karat gold plated chain with a 3″ (7.6cm) extension.